Governor Akinwunmi Ambode, The Governor of Lagos State has finally bowed to pressure by slashing the criticized Land Use Charge. 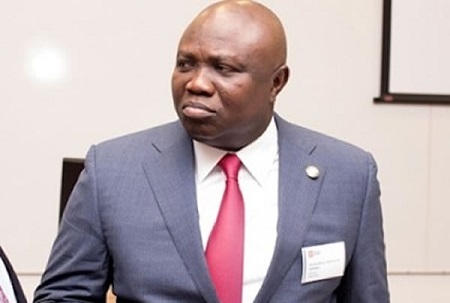 Reports say the reduction was part of the conclusions reached at the meeting of the Lagos State Executive Council chaired by Governor Akinwunmi Ambode on Thursday (today). The state government had jacked up the charges payable by 400% as enabled by the Land Use Charge Law of 2018. Stakeholders had criticised the increment of the LUC, insisting that it was capable of affecting business and the general financial wellbeing of Lagos residents. Such stakeholders included the Organised Private Sector, Nigeria Bar Association, real estate investors & developers, landlord & resident associations, community development associations, Civil Society Organisations, Lagos Chamber of Commerce and Industries, Nigeria Institute of Estate Surveyors & Valuers and several other professional groups. Now, commercial property owners will be granted 50 percent discount. This means a commercial property valued at N20m which was earlier billed N91,200 will now pay N45,600 per annum. Property occupied by owner and third party and property used for industrial and manufacturing purposes will now enjoy 25 percent discount. This means that a N20m property expected to pay N30,720 will now pay N23,040 per annum. Owner-occupied property will enjoy 15 percent discount. So, for a N20m property, this used to be N9,120. Now, it is N7,752 per annum. Meanwhile, the penalty regime for late payment of LUC has been waived completely. Therefore, LUC payers who have received their bills will no longer be penalised for late payment of bills issued in 2018, thereby providing additional relief to LUC payers. Other rates and reliefs, apart from the ones stated above, will remain unchanged and will be implemented as stipulated by the Law. These include 40 percent general relief, 10 percent for 70 years and above, 10 percent for properties owned by persons living with disability and 10 percent for properties that are 25 years old and so on and so forth. Owners of Property across all categories will now be allowed to make payments by installments, to reduce the burden of taxation on citizens. a) The Regulation for review of applicable rates and regime of reliefs on Categories of Properties pursuant to LUC Law. b) The Regulation for a framework for self-assessment.